I recently “discovered” that I’m an introvert. This should come as no surprise since I like to be alone, me and books are BFF’s, I’m in my head a lot, and I’m better at expressing myself on paper than I am in person on the spot. And all those things in the quote for today. Have you taken the Myers-Briggs test? What are your results? Do you want to share? This is something that I have come to realise about myself on recent years. I always thought I was odd, (or made to feel that way). When I realised, so many things slotted into place and made sense, why I don’t have a great relationship with my mother, a very extroverted woman, and just too much for me sometimes, and why I’m very close with my father, also an introvert and deep thinker, why I don’t crave the company of others, content on my own working in the shed on jewellery or with my beloved who is also introverted, why I struggle to make friends and why I am emotionally exhausted after a day at work in retail which is very customer focused. I’m currently reading ‘Quiet’ by Susan Cain and recognising myself so much in her words, I highly recommend it. 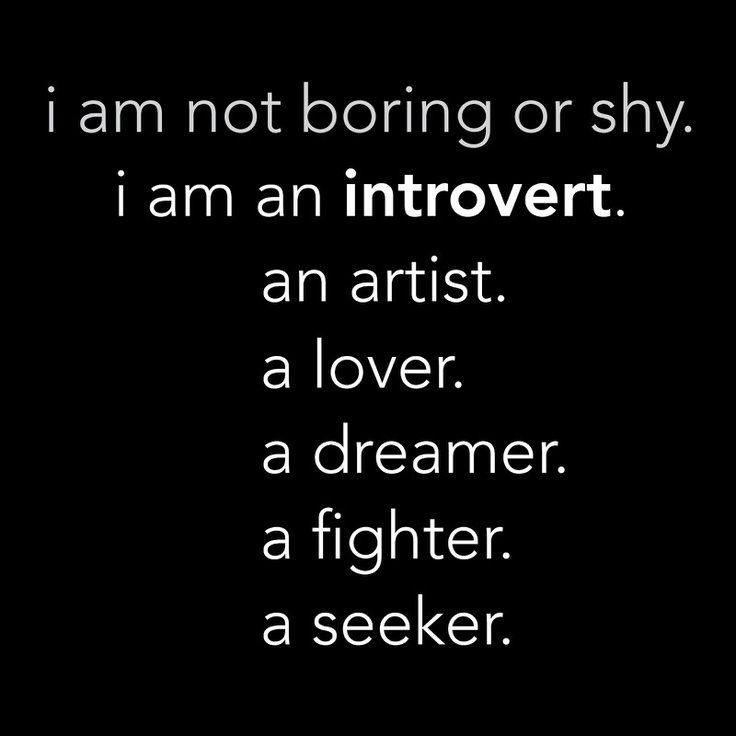 It’s a shame that introverts are misunderstood, as that brilliant quote you posted says, we’re not shy or boring, in fact some of the most interesting people I know are introverts. I’m comfortable with who I am now, but it took a long time to get there. Thanks so much for sharing, I don’t feel like such an oddball now. I, too, struggle to make friends and maintain friendships, and I prefer the company of my pets to most people. I’ve heard of Susan Cain, I’ll need to get her books. I know what you mean about wanting to work on creative stuff, and OMG YOU WORK IN RETAIL. I don’t know how you do it. I did for awhile and swore I never would again, I was constantly exhausted. I was always comfortable with who I was, but society said I was odd. So I started to second guess myself. Now I know that’s it’s just how I’m programmed, so no more second guessing. Glad you are comfortable now. Oh believe me once my jewellery starts making me enough money, I’ll be quitting retail for good! !